Where is home? The answer might be three words or three volumes, as the question alludes to very immediate and concrete as well as transcendent and imaginary: Our childhood home, the home we never had, the physical dwelling where our physical self is at peace; an ancestral home that our forefathers left to never return back, the home of old memories, more distant with each passing year, until it is the place that is almost completely imagined. Or is it a destination, a place we hope to get to, for a split second or forever? Is home a creative hermitage or a figment of one’s imagination, at once vivid and illusive? For this exhibit four female artists are challenged with defining the notion of home, and finding the visual and conceptual language to represent it. Poonam Jain’s installation for this show was inspired by a happenstance: she picked up a discarded notebook on the street in Mumbai. The notebook most likely fell off a truck that picks up old paper in that neighborhood. It is a notebook that can be found in many simple households in Mumbai, where women offer tutoring for local kids. The book, also displayed in the exhibition, is filled with dictation words written repeatedly by a young student. The words suggested by tutors are related to the most urgent topic for adults in early 2017 in India - money and demonetization. Jain explores this dictation notebook for ideas about learning at home through repetition, reasoning behind choice of words by female tutors, and mistakes introduced by tutors and repeated by their students many times over. “Apart from the emotional attachment to one’s home, I am interested in the question is how socially each home grooms its children. In this series of works I explore the notion of learning and imposition.” In her installation Jain recreates child’s scribbles as delicate watercolor drawings where every letter is carefully painted over many hours to look as if it is made out of chain links. She also disrupted the obedient repetition of words by creating a puzzle out of these words. Jain’s work is a meditation of what and how we learn at home, on whether a home is a safe abode or a comfortable cage, on our need to question authority, explore choices, and assert freedom inside a home. For Zsofia Schweger this exhibit is an homage to her childhood home in Hungary and an attempt to find a renewed sense of belonging in London where she now resides. In her pastel-toned paintings of the rooms in her childhood home, she contemplates the impossibility of returning to a place and time, and she explores her own nostalgia, old memories, notions of comfort and alienation. The renderings of the interior spaces are bare and abstracted, the colors, especially in the recent works are so light, that the forms of objects are almost disappearing and morphing into signs. "My recent work is linked to the idea that home is rooted in both space and time. If that holds true, then - with the passing of time - return to an old home is impossible. For me, nostalgia has proved to be productive. I've found that recognizing the impossibility of return or the fact that I feel no longer at home in an old home, has been helpful in determining where home is for me in the present." Poonam Jain (India) as a young girl aspired to become a nun in the Jain religion but was drawn away from this path by her passion for art. 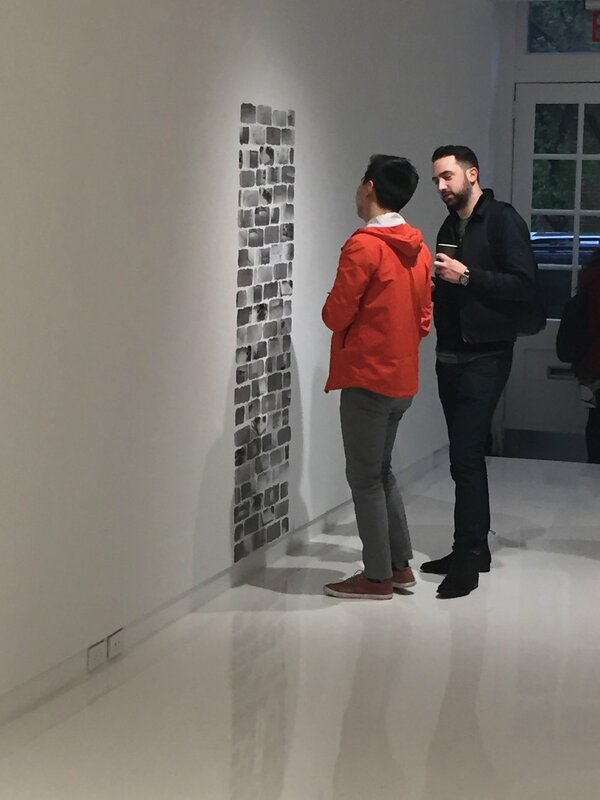 She investigates spaces and cities she has comes to inhabit using delicate, intricate formats to comment on issues that concern a young woman in a city, personal narratives discuss art history and socio-political concerns. Jain proposes a feminism that doesn’t depend on animosity with the feminine but argues a precise opposition, manifested in delicate architectural forms. Jain used to serve as the Director of Clark House Initiative Bombay where she is based, and is an active member of an artist’s collective called Shunya. She has shown at Kadist Art Foundation, Paris; G.159 Bangalore; Insert 2014 curated by Raqs Media Collective, New Delhi; Foundation Lucien Paye, Paris; MKG127, Canada; Gdansk Art Gallery, and Beirut Exhibition Center among others. She has also had solo exhibitions at the Clark House Bombay, 1x1 Gallery Dubai, and C&H Art Apartment Hong Kong. Zsofia Schweger (Hungary/UK) researches the notions of home and belonging, local identity and the emigrant experience. 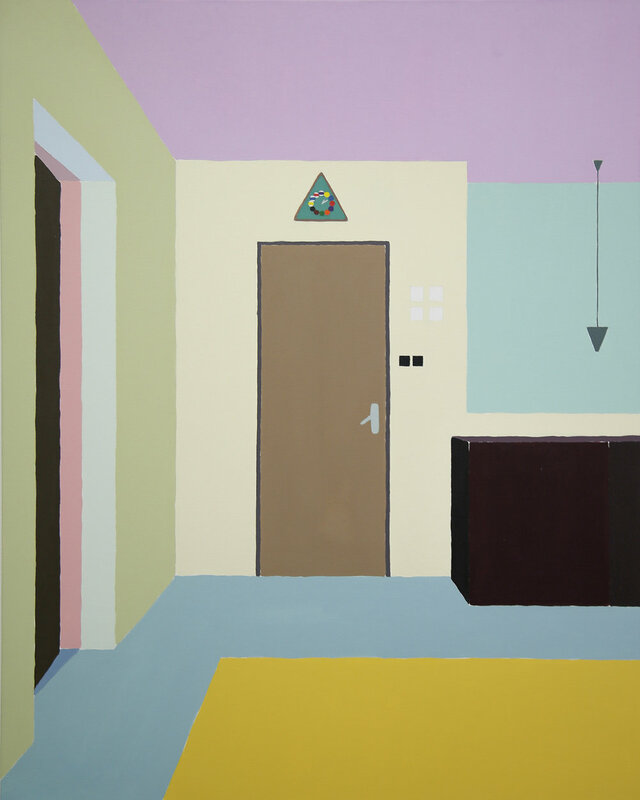 In paintings of domestic interiors, Schweger uses reductive paint application, flat panels of color and a muted palette to express a sense of both comfort and alienation. Schweger lived in the US for five years and studied at Wellesley College in the Boston area, before she moved to London in 2013. She then attended the Slade School of Fine Art, graduating with an MA in 2015 and has since been selected for Bloomberg New Contemporaries 2016 and has been supported by several generous prizes. These include the Jealous Prize, Griffin Art Prize, the Alice C. Cole Award, and the ‘One To Watch’ Award. Recently she has had a solo exhibition at Lundgren Gallery, Palma de Mallorca, Spain. Wyn-Lyn Tan (Singapore/Norway) has developed a contemporary visual vocabulary that straddles East and West and is driven by a fascination with remote natural landscapes connecting across time and culture. She chooses to chase the ephemeral and her interdisciplinary approach includes video and installation developed into a contemporary style amongst inspiration from traditional Shan Sui Hua landscape paintings. Wyn-Lyn has been the recipient of the Highly Commended Work Award in Abstract Medium at the 22nd UOB Painting of the Year, Singapore (2003), the National Arts Council (NAC), Emerging Artist Grant (2003), NAC Arts Professional Development Grant in Visual Arts (2011), and NAC Capability Development Grant (2013). She has been awarded artist residencies with Herhusid Artist Residency, Iceland (2013), and Fiskars Artist Residency, Finland (2007). In 2011 she was one of two Singaporeans to ever take up The Arctic Circle Residency. Her works can be found in the permanent collection of the Singapore Art Museum, and have been exhibited in Singapore, Finland, Iceland, and China, including the Inside-Out Art Museum, Beijing. Heeseop Yoon (Korea/US) is known for her large-scaled line drawing installations and intricate black and white drawings. Living and working in Brooklyn, Yoon photographs interiors of places jumbled and absent of figures, where time is ambiguous and everlasting. She considers the solidity of the place though the paradox of human experience—the more one studies a view the less accurate it becomes. She achieved her MFA from City College of New York and has exhibited in museums and art centers internationally, including MASS MoCA, North Adams, Massachusetts; John Michael Kohler Arts Center, Sheboygan, Wisconsin; The Bronx Museum, NY; Seoul Arts Center, Korea; China Association for Science and Technology (CAST), Australia and Media Art Center, Beijing, and has participated in several residencies such as the Lower East Side Print Shop, Marie Walsh Sharpe Art Foundation; Skowhegan School of Painting, and Artist Alliance Inc., all NY, and Stiftung Künstlerdorf Schöppingen Germany. Recently she has been displayed in Open Source, City of Philadelphia Mural Arts Program; Nuanced, Dedee Shattuck Gallery, and Hide and Seek, OZ Arts Nashville.